LDT03-12S isn't about being bulky. This new wood base TV stand suits the demand of modern TV mounts - durability, stability as well as ideal for various interior designs. It is an aesthetically appealing mount that distinguishes itself from traditional TV brackets. The sleek design with piano finish creates an eye-catching look in home, offices, shops and many other places where a reliable and attractive TV mount is needed. The black wood base enhances the overall design, and perfectly support the large weight capacity of the TV bracket as well. Apart from the durable structure and well-design appearance the unit also features flexible adjustment. 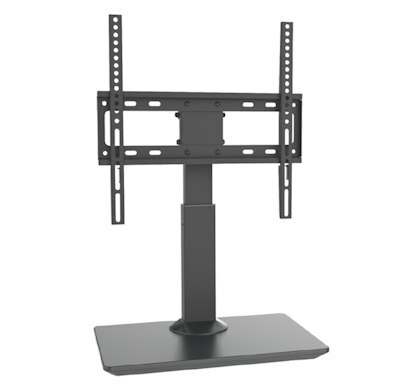 70 (total) degree swivel range offers more horizontal movement than standard TV brackets. With all these features, this TV stand is the ideal option for your demand of high-quality, and stylish TV mount with great functionality. 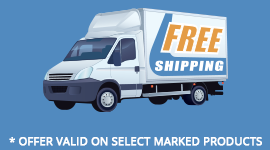 Will fit most small to mid-sized 32''-55'' flat panel plasma and LCD TVs with mounting patterns up to VESA 400x400.